It’s usually an unspoken rule that band members live in the same general area in order to assure strict practices, constant collaboration and uncomplicated recording sessions. Kyle Ekstrom and Darian Renee choose to not play by those rules. 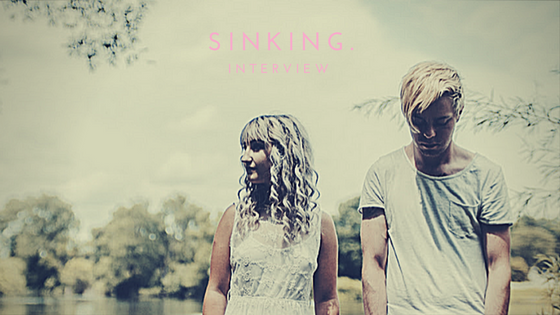 With Ekstrom in Chicago and Renee in Boise, there’s roughly 1,500 miles that could potentially make or break their new synth pop duo called Sinking. For Renee, that’s the part that she finds the most fascinating. The meaning behind the name Sinking isn’t important; it’s the chemistry between Ekstrom and Renee that counts. Both have heavy musical backgrounds, playing in bands during their teen years and also currently working on solo material that spans different genres. “It’s something completely different than what we’re both used to,” Ekstrom added. Their jam sessions included discussions of their love for pop and alternative music and when they agreed to work together, they knew they wanted to combine their favorite genres. “[Kyle] brought up that he wanted to do something with an indie pop sound with synths and more on the alternative side and it really brought me back to my roots,” Renee said. Although they are still just in the writing process, Sinking plans on releasing more music this year and wants their first release to really turn heads. They may come from different musical backgrounds and they may be coming together to try something totally different, but the natural chemistry is there. And that’s all they need.